They say, charity begins at home. While we may think that there is nothing we can do to decelerate the environmental degradation that we have all been witness to for the last several decades, taking the first step towards an eco-friendly lifestyle can be as simple as replacing those ugly plastic light fixtures with ones that are made from greener materials. 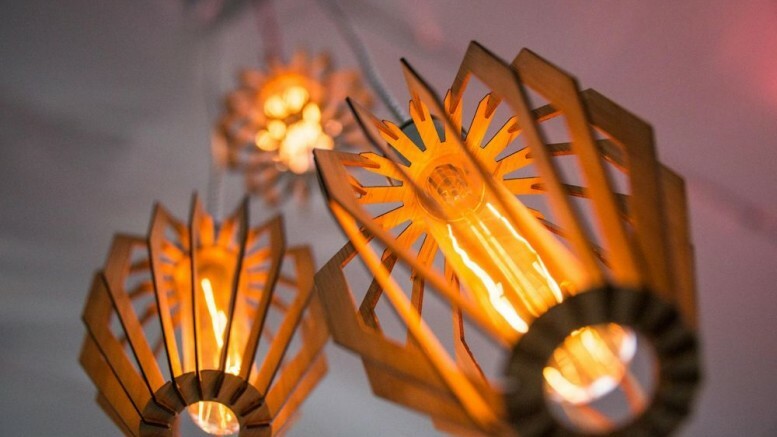 One of the growing trends in the design world is that of lamps and lighting systems built using naturally occurring substances, such as wood, bamboo, jute and other natural fibers, paper, cardboard and so on. Below is a list of 12 skillfully-crafted and also, aesthetically appealing designer bamboo luminaires that will enable you to do your part in protecting the environment. 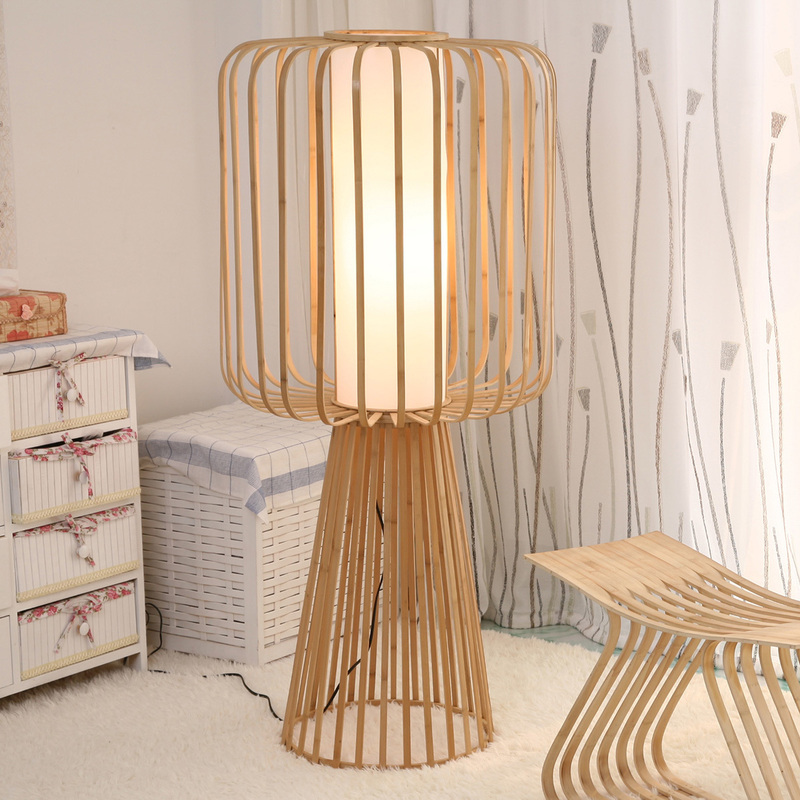 At the 2014 Stockholm Furniture and Light Fair, Swedish designers Martin Ljung and Greta Ljung displayed the beautiful ‘POP’ bamboo lampshades. Inspired by the basket-making techniques of local weavers of the Sop Moei district in Northern Thailand, the designer couple has created lightweight, eco-friendly designer lamps that also help promote indigenous crafts. 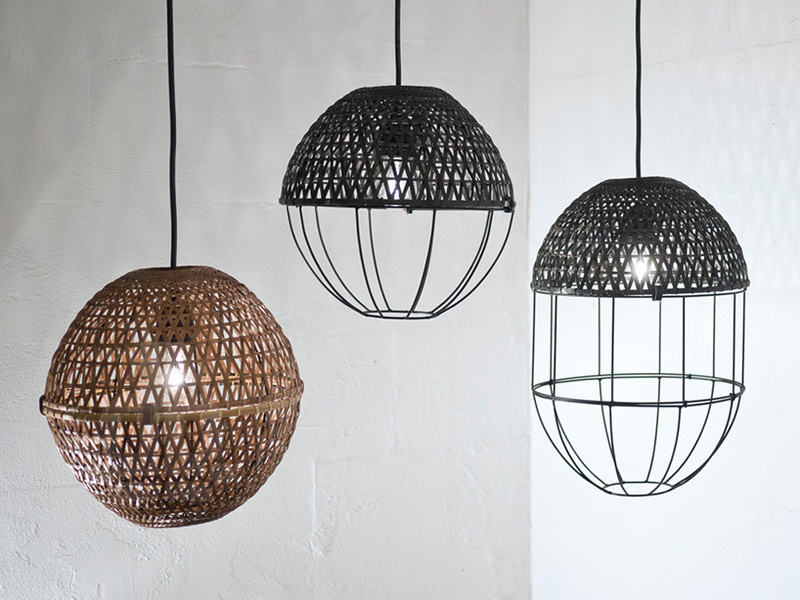 Made from pre-soaked bamboo strips that are then woven around a basic metal frame, each of these lamps is handcrafted. The final structure is smoked over an open fire, to get rid of any pests in the bamboo and add a darker tinge to it. The brilliant LED bamboo lighting project, by Taiwanese designer Jeff Dah-Yue Shi, shows a flawless marriage of technology and green innovation. Winner of the 2011 Red Dot Award for communication design as well as the Taiwan Design Centre’s Gold Pin Design Mark, this lighting system consists of strategically placed LEDs installed right into the walls. 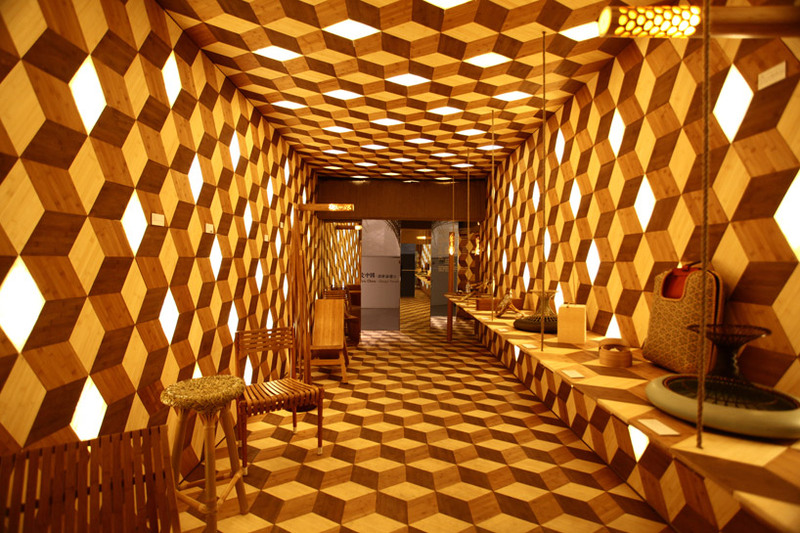 The contrasting colors of the thin, rhombus-shaped bamboo veneer slices, covering the walls, actually help create a three dimensional appearance. As part of the same project, Dah-Yue Shi borrowed from Ming design practices to create an impressive cylindrical LED lamp, built entirely using rolled bamboo sheets. Perforations along the tube allow the light from the LED bulb to shine through, thereby creating a beautiful yellow glow. 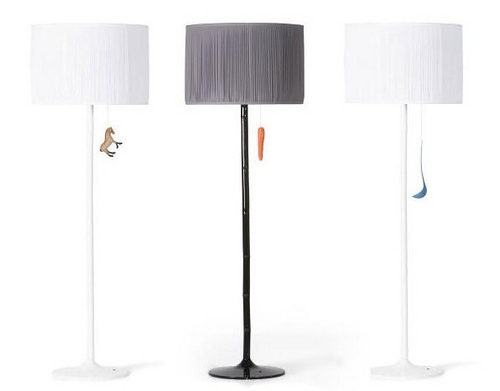 Dutch design company Moooi is famous for its wide array of environmentally-sustainable luminaires. 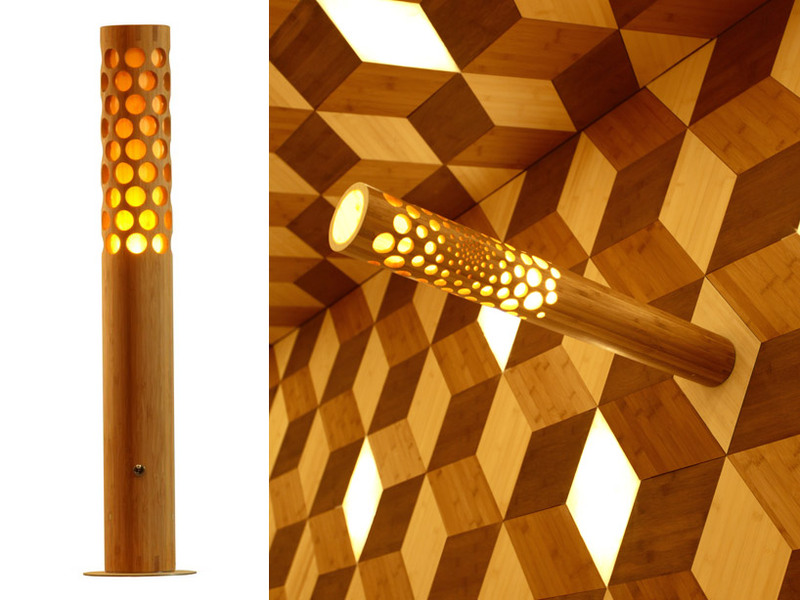 The simple yet elegant Bamboo Floor Lamp made its debut back in 2007. 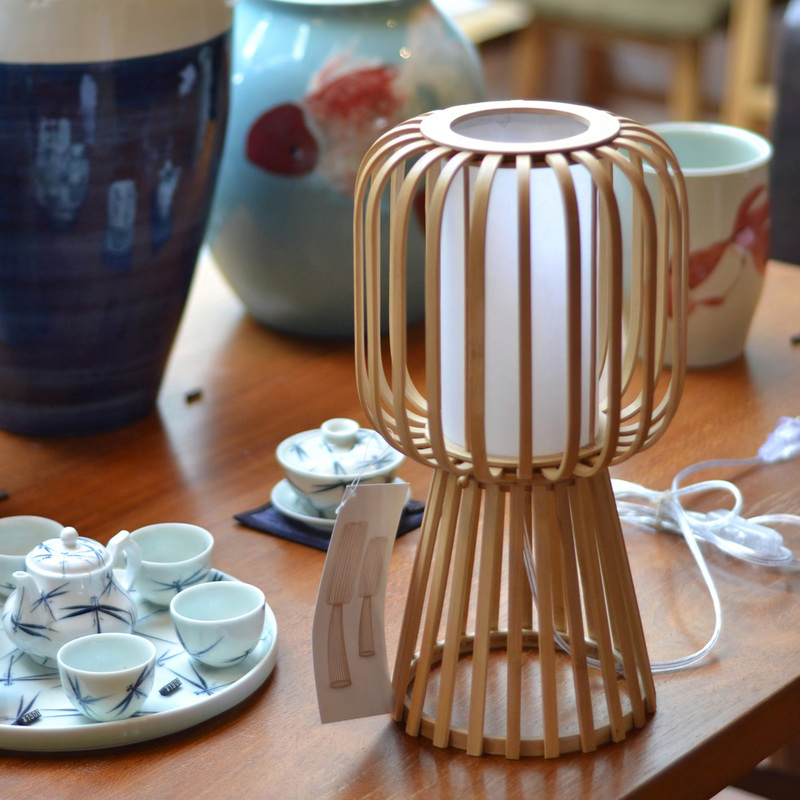 It consists of a lithe bamboo stand that is fitted into the metal base, and a lampshade made from cotton. A unique pull-chord sporting a fancy customized switch, in the form of a toy horse or carrot, is what makes this lamp all the more attractive. 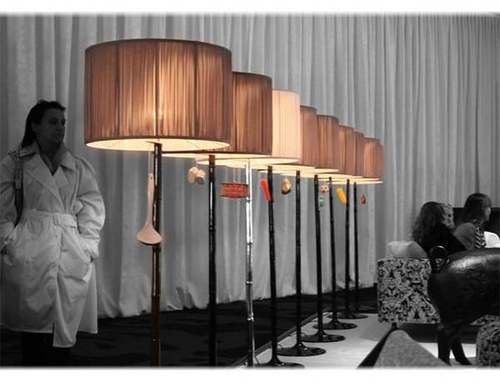 Similar products marketed by Moooi include the enchanting Emperor Pendant Light, designed by Lyndon Neri and Rossana Hu. 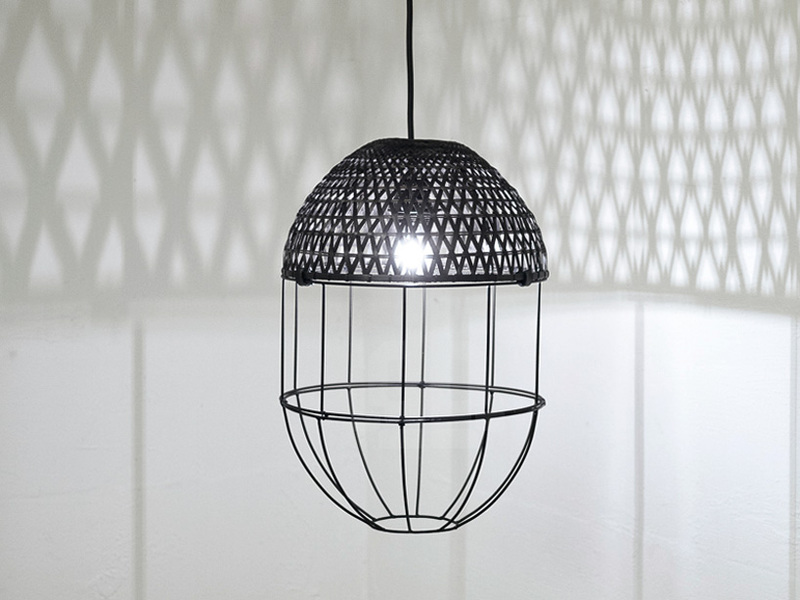 Each lamp is custom-made, featuring a bamboo rattan structure that is woven around a strengthened aluminium framework. Although not made from bamboo, Fresh West’s The Brave New World Lamp, built entirely with timber strips, is another such interesting creation. 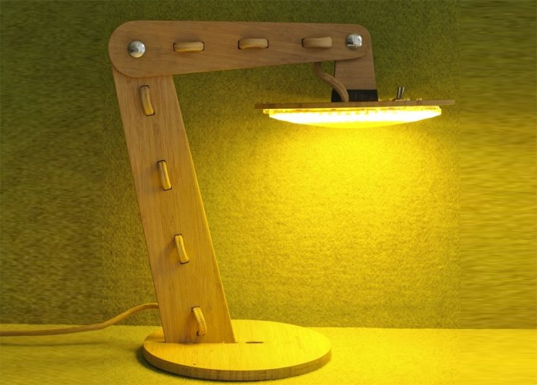 With its smart, innovative design and energy-efficient credentials, the Fun Bamboo Desklamp by Green Tuna Design is indeed a proud member of the family of technologically advanced ‘green’ products. Its highly functional, lightweight structure is made from precisely cut 5mm bamboo wood, which is then covered with 100% natural coating. 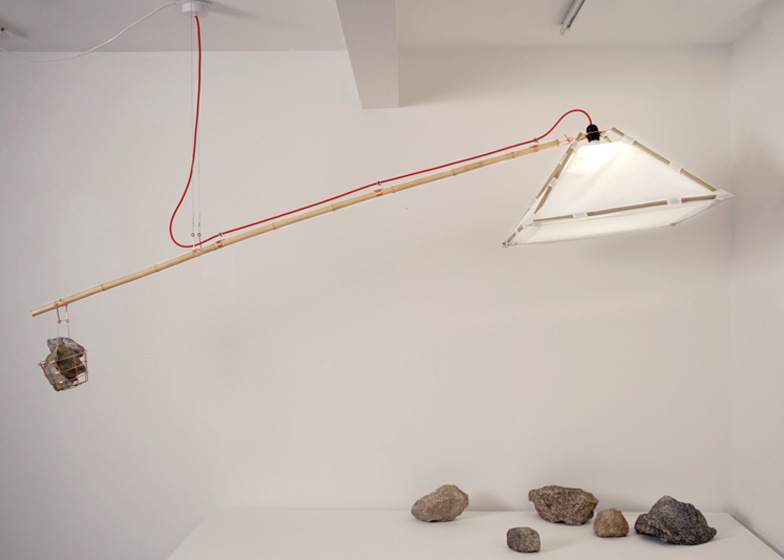 The energy-efficient LED light source consumes a total of only 5 W-10 W.
The traditional elements of a Japanese garden, such as rocks, bamboo and ponds which in turn symbolize light, energy, objects and nature, form the inspiration behind the Lightweight series of lighting. Launched at the 2012 London Design Festival, this collection of green luminaires is the brainchild of London-based industrial product designer Tord Boontje. In an attempt to do away with the usually heavy lamp base, Boontje created a simple structure consisting of hollow cylindrical bamboo segments that are made flexible with the help of copper wires. A paper lampshade is fitted around the light source, while a copper basket filled with stones, books and other heavy objects, keeps the lamp steady. 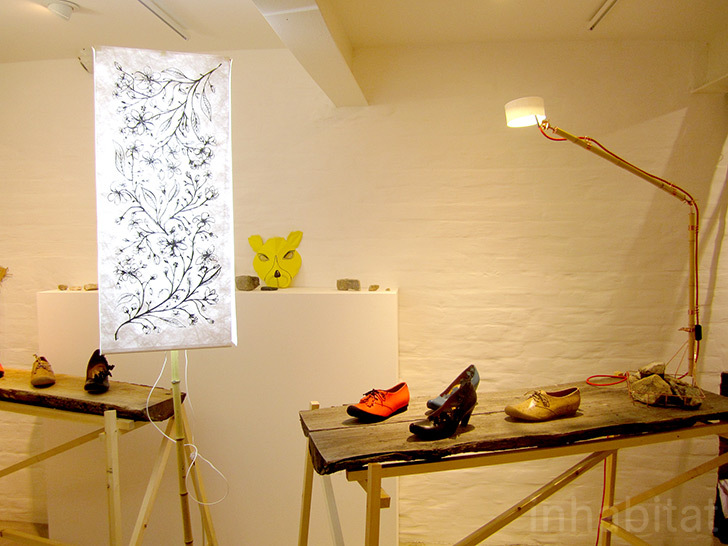 First showcased at the 2011 Beijing Design Week, the incredibly artistic Moolin lamp is a masterpiece by designer Henri Garbers. Manufactured by Beijing-based studio Iasfera, this exclusively-handmade luminaire is built using pliable pieces of bamboo. It follows the ancient Chinese technique of heating and bending bamboo strips. The bare finish of the bamboo in fact makes it look all the more authentic.